Facebook Ads get intimidating when it comes to choosing the right campaign type, budgeting, and targeting, especially for beginners and inexperienced business owners who want to get into the Facebook advertising game and figure out where to begin from. Facebook Advertising is a vast arena and to get into it and leverage the amount of money you spend, the only way to get through is by actually understanding the system and testing out different strategies. You can learn and tweak if you start practicing and testing. Let’s not get into the every type of Facebook Ads that you can run. 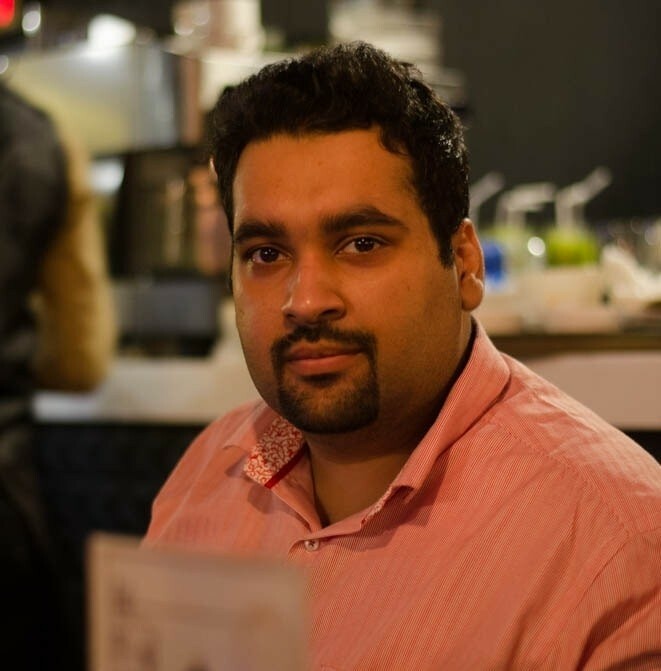 I’ll keep it simple and try to help out every business starter, newbie marketer, and blogger in mind who has never used Facebook advertising before and looking to get into it. 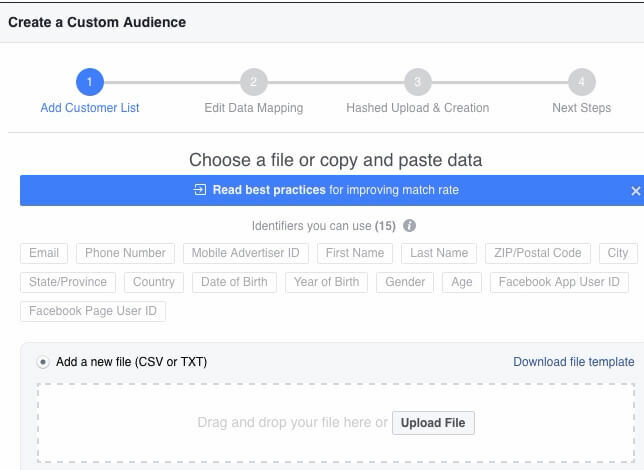 Keeping all that in mind, I decided to write a brief blog post on creating the customer audience of email subscribers for Facebook Ads. If you’re into online advertising and haven’t done much Facebook Ads before, then I will recommend you to read Facebook Ads For Newbies Instead! Further on, let me tell you something: the more you get specific with your targeting, the higher the results would be. This means, if your offer/ad is relevant to them or they know your brand, then they’re likely to give you some attention. Maybe, they’ll click and get engaged with your offer. This means you reached out to the newer audience that hasn’t seen your brand before and your offer/ad appeals them to take some action or get onboard. In order to find out which strategy works best, you would have to test a lot of them. One of the targeting strategies could be targeting the email subscribers and put your ad in front of them either to engage them further or give them an offer to take action. In order to get started with that targeting, you would have to actually create your customer audience of email subscribers. Simply download your email list from your email marketing software like Mailchimp or Aweber. If you haven’t build the list yet, let me ask you to read my World’s Simplest Guide on Email Marketing! It’s one of the best guide you will find on the internet to build your list. After that, I will recommend you to check 6 Ways To Grow Your Email List Without Advertising, specially if you are tight on budget. Always remember that you can upload the email subscribers list in CVS or txt format. Most of the marketers use CSV format. It works just fine. Once you’ve downloaded the email list, go to the Facebook to get the process started. Once you’re logged in to your Facebook account, all you have to do next is accessing your Ads Manager. 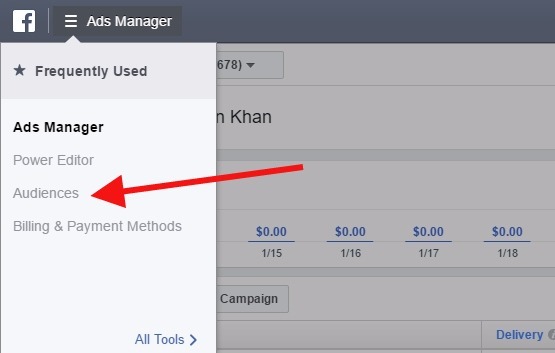 Everything related to Facebook Ads would happen in Ads Manager. So go to your Ads Manager on Facebook. If you’ve already run some Facebook ad campaigns, you might see there. You don’t have to do anything yet related to the ad running. Open the top menu of the Ads Manager and click on the Audiences to begin creating your specific audience. After that, you’d begin the process of creating your custom audience. 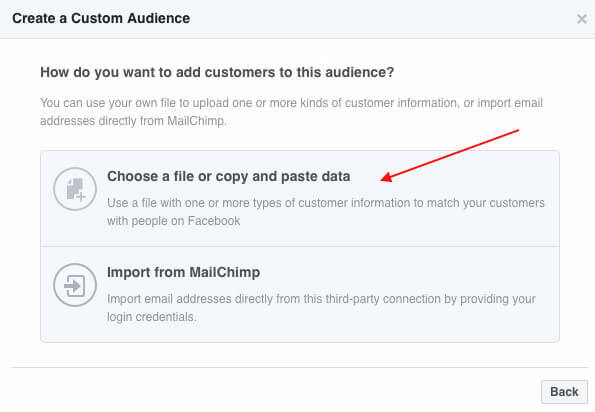 Now Facebook will ask you the criteria of customer audience and within a few seconds, you’ll proceed to the step where you would actually upload the source file (CVS). The next screen that will pop up after clicking the ‘Audiences’ option would be the part where you would have to describe the type of the audience. 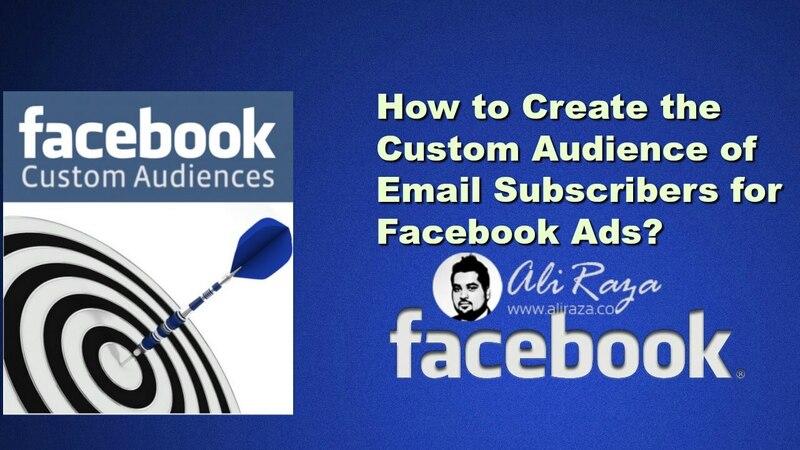 Here you would tell the Facebook that you’re going to make a custom audience for your Facebook Ad account. Choose the ‘custom audience’ from the dropdown menu. Once you click on that, you’ll proceed to the next window that will ask you about the method of your custom audience creation. Here you would have to choose the right option. Go to the customer file. Because you want to upload the CSV file of your email subscribers (that you downloaded earlier from your email marketing software). 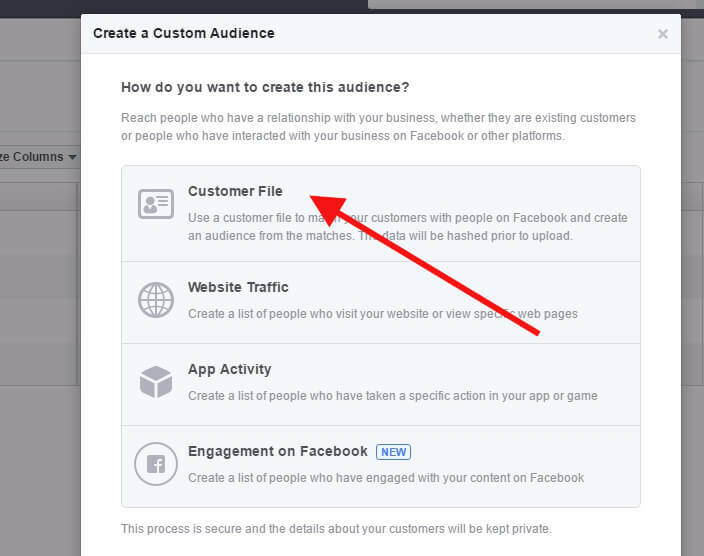 In the next step, Facebook will ask you that how you want to add the customer file to the audience. You would have to choose the option a because you have already downloaded the CSV file into your computer. And, now all you want to get the file processed for you. Just click on the upload button and provide the location, meaning, browse into your hard drive and proceed with the file uploading. It might take a couple of hours for Facebook to make your custom audience ready for you. I have tried to explain one of the simplest things of Facebook ads that often make people afraid. It might look a little difficult to do if you haven’t done any Facebook advertising before but this is the most easiest thing to do on Facebook. And, the best thing is that once you do it yourself, you’ll find out that how easy it is. In fact, if you make a mistake at some point like uploading the wrong file or something like that, Facebook would notify you about that so that you could fix it. The purpose of writing this blog post was to educate you on building a custom audience and give you a strategy of engaging your email subscribers through Facebook Ads. The email subscribers are people who have shown interest in your content in the past and that’s why they subscribed to your newsletter or blog. One of the benefits of targeting them through Facebook ads is that you can remind them about checking out your blog again or you can read something fresh or amazing on your blog that they might have missed somehow. 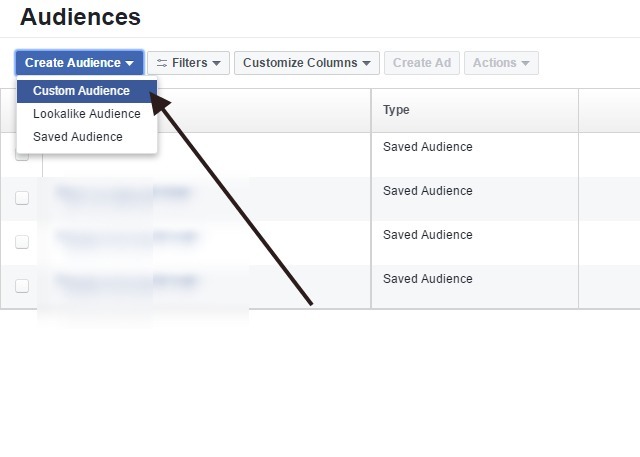 Will this custom audience guide effect your Facebook ad targeting in the future? You did a good job explaining all step by step. This way it should be easy to implement. already interested in what you have to offer. website visitors putting a pixel.